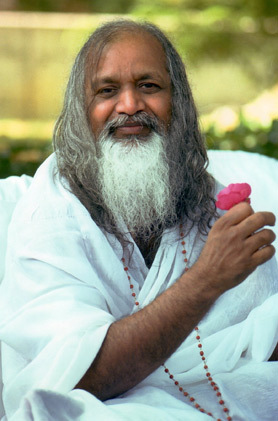 The TM technique is a specific form of meditation introduced by Maharishi Mahesh Yogi. Its purpose is to provide the experience of transcending: a state of restful alertness beyond thought, an experience that revitalizes mind and body and stimulates growth of one’s full creative potential. According to Maharishi and the organization he created to teach the Transcendental Meditation technique, learning to practice correctly requires personalized, one-on-one instruction, a series of classes and comprehensive follow-up, all taught by professionally trained teachers. The first step in learning is to attend a free Introductory Lecture. 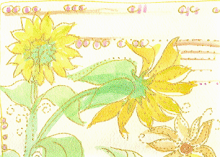 For an overview of the seven-step TM course, please click here. The TM technique is taught by a non-profit, tax-exempt educational organization [501(c)(3)]. When you learn the TM technique, your course tuition covers the educational expenses of teaching and supports the non-profit organization dedicated to bringing the personal benefits of meditation to people everywhere. The reason you can learn the TM technique today is because others before you have paid course fees to sustain the program. Occasionally some asks, why is the TM technique not taught for free? Does one really need a trained and certified teacher, personalized instruction and a seven-step course to correctly practice this meditation technique and enjoy its benefits? Our experience teaching meditation around the world for the past fifty years — along with hundreds of independent, peer-reviewed scientific research studies verifying the program’s effectiveness  — tells us the answer is most definitely yes, that this way of teaching is necessary and works marvelously well. Millions of people who have learned the TM technique in this way would agree. If learning the TM technique requires personalized instruction and a series of classes, obviously educational expenses will be incurred — thus the course fee. Anyone can learn: There is a standard tuition for the TM course, with reduced rates for full-time students, couples, families, children, or anyone under financial hardship. There are also grants, scholarships and work-study programs to help cover the tuition. Due to the non-profit structure, anyone who wishes to learn the TM technique can learn. Pleasecontact us for current fees and payment options. 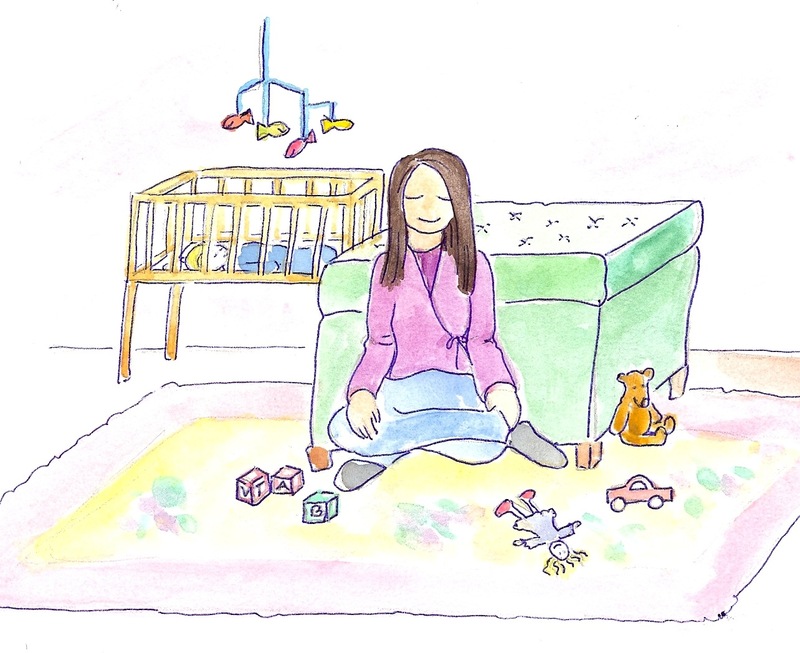 Is personalized, comprehensive instruction really necessary to learn to meditate effectively? And why would someone choose to learn the Transcendental Meditation technique when so many other practices can be learned more cheaply or at no cost? The operative word in describing the Transcendental Meditation technique is transcendental. 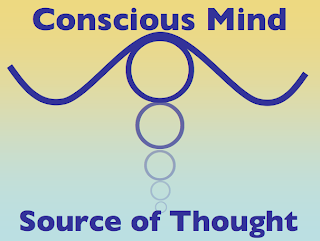 During TM practice, one transcends: the mind naturally and effortlessly settles inward, away from the surface, active levels of thinking, to more settled and refined levels of the mind, until you experience the silent field of pure awareness or restful alertness at the source of thought. Neuroscientists have found that the meditative state gained during TM practice creates “global EEG coherence.” This state of highly efficient and orderly functioning throughout the entire brain stimulates growth of creativity, intelligence and heightened awareness in daily life. 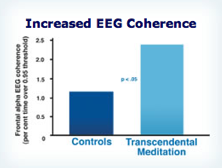 A basic principle of the Transcendental Meditation program is that this experience of transcending is the primary cause of the TM technique's positive effects. TM practice is all about transcending, distinct from practices that have other purposes or engage the mind and keep it active or busy in various ways, usually on the more surface thinking levels. According to physiological research, it is this state of “transcendental consciousness” — a fourth state of consciousness unlike waking, dreaming or sleep — that gives the most profound rest and rejuvenation to mind and body. Hundreds of scientific research studies on the effects of the TM technique support this principle that the experience of transcendental consciousness produces the widest range of benefits among the variety of meditative states. The process of “effortless transcending” is natural, simple and easy, but also very, very delicate; so delicate that the technique was lost to society — in the East and the West — for thousands of years simply because of misunderstanding and inadequate teaching methods. Maharishi revived correct practice of this ancient meditation technique and structured a systematic, standardized course of personalized instruction. His sole motive was to ensure that people everywhere can learn to meditate properly and gain maximum benefit. 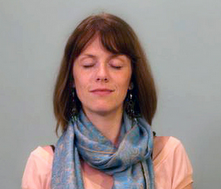 When one learns the Transcendental Meditation technique, every instruction is given out on the basis of the previous instruction being understood and acknowledged. The certified TM teacher guides the student step by step, adjusting the teaching process according to the pace of the student. The Transcendental Meditation course comes with extensive follow-up and personal support, offered at no further cost beyond the one-time TM course tuition. After you’ve completed your TM course, teachers remain available to provide further guidance and facilitate deeper understanding of the practice. Personal guidance: The one-on-one support allows the opportunity for personal meetings with your teacher, as needed, arranged according to your schedule. These private, 30-minute “checking” sessions stabilize correct, effortless practice and verify experiences. It is recommended that these personal meetings be scheduled weekly for the first month and monthly for the next few months — or according to the student’s needs. This lifelong, personal support remains available as needed to everyone who has learned the TM technique. Advanced Lectures: The follow-up also includes optional, ongoing advanced classes so that your understanding can grow along with your experiences. These advanced meetings are held weekly in most TM teaching centers and include checking and group meditation. The Transcendental Meditation course, one-on-one support and follow-up is designed to allow each student to gain the experience and understanding they need to correctly practice the Transcendental Meditation technique on their own and gain maximum benefit in daily life. Because there’s an established, sustainable professional organization and an initial TM course tuition, the lifetime follow-up can be offered at no charge. You can go to a TM teaching center in almost any major city and have your meditation checked or receive further guidance from the teachers. The TM course tuition is a one-time fee for a lifetime program.